I became a patient this last week! 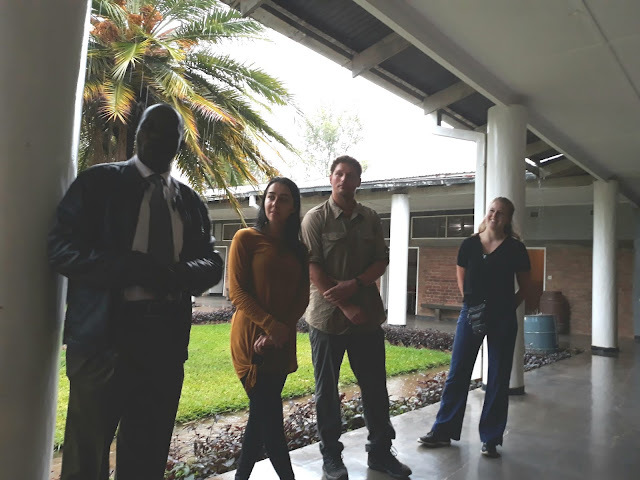 Well on Wednesday I left Chidamoyo in the morning with Major and Emily, our visitor who needed to come to Harare to renew her visitor's permit. I had been feeling bad on and off since the 3rd of September. I had gone on IV meds at Chidamoyo and felt better for a few days and then fevers on and off. Finally my urologist said to come to see him in Harare because maybe I was resistant to all the meds I was taking. 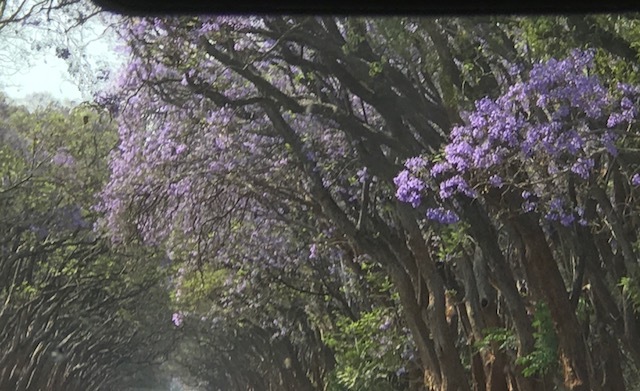 By the time we got to Harare and got Emily her visitor's permit and went to lunch my fevers started. It was a hot day in Harare and I ended up putting 2 jerseys on and still feeling so cold. We went for my doctor's appointment at 3 and I stayed laying down in the car. Major checked me in and the nurse came to the car and called the doctor still doing surgeries and he said go get blood, urine done and an ultrasound and come to meet him at the hospital for admission. We got everything done but the ultrasound which they scheduled for the next morning! Major helped me and got me to all the places and got me admitted. By that time my fever was 104 and I was really out of it. They got me on IV antibiotics and I don't remember most of the rest of the night except vitals taken every 2 hours, fever up to 105, blood cultures taken and I was taken down for an ultrasound during the middle of it all! They started IV Paracetamol and my fevers started to come down by morning. At 0430 they woke me up to shower and make my bed and have a cup of tea! I just barely moved to a chair so they could do the bed! 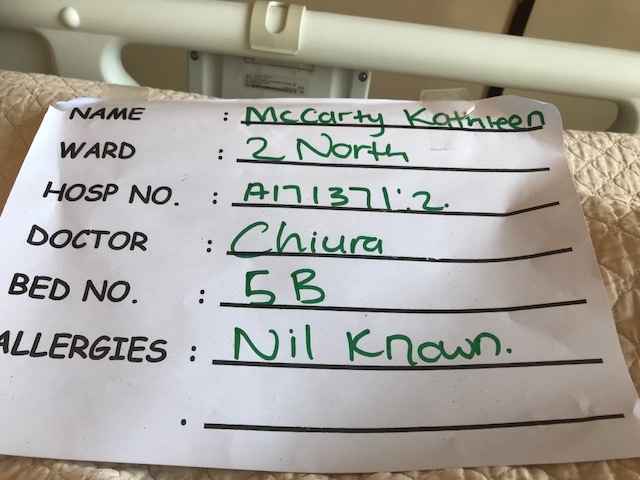 Friday I was taken by ambulance to another hospital and an Interventional Radiologist put a wire in my back and then a stent in my right kidney. I was back in bed after 7 hours! I woke up sweating and thinking my fevers were back again after surgery only to find they had put 4 wool blankets on me and it was in the 90's that day! Saturday they took the wire out and after 2 hours I was able to go home. 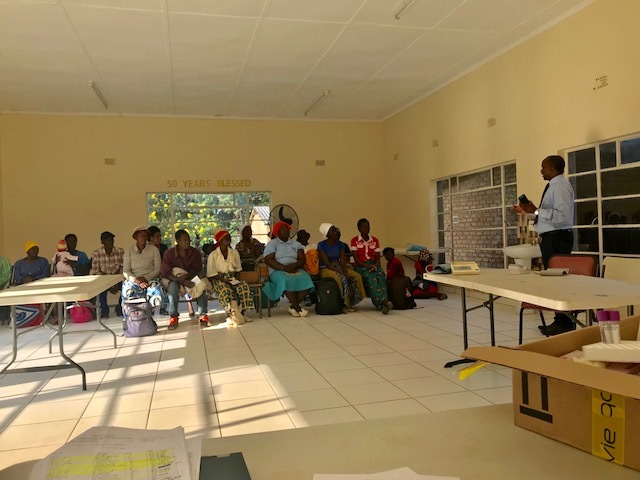 I came to my townhouse here in Harare to continue to give myself IV medications twice a day and Wednesday will go back into the hospital for another surgery procedure--very small and out the same day and then will go home to Chidamoyo when I feel up to it. Sunday we saw SAtacy Jaquith off. she had been here since the 3rd of September . This was here 3rd or 4th time here and she loved it. We exhausted her! Major was my nurse and did a great job helping me. I finally talked him into going home on Sunday night and he is coming back tomorrow (Tuesday). Spent today cleaning some cupboards at the townhouse and taking it easy. Thanks for all your prayers and thoughts. They definitely helped! I was so sick Wednesday and doing well now. 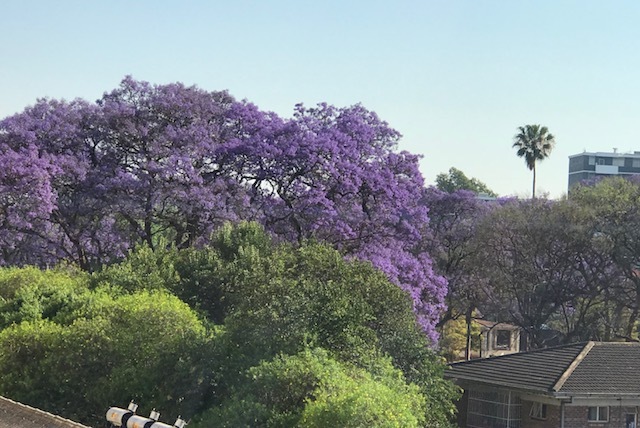 The view from my hospital bed--Jacaranda trees in full bloom! 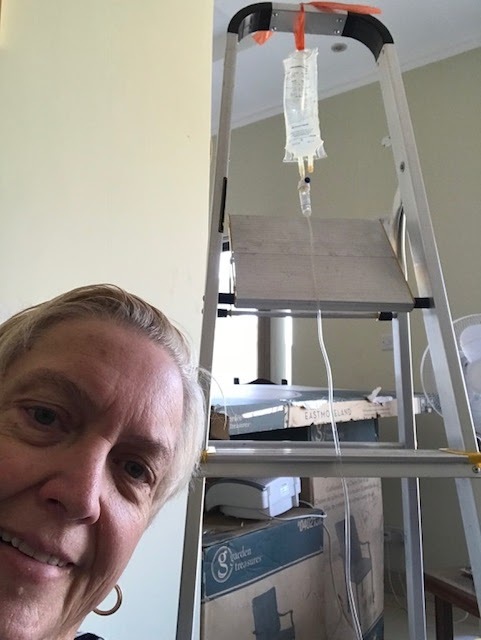 Giving my IV meds with my ladder as my IV pole at home!